Former French President Nicolas Sarkozy has proposed to Russian President Vladimir Putin that Russia lift its restrictions imposed on the West in response to the anti-Russian sanctions. 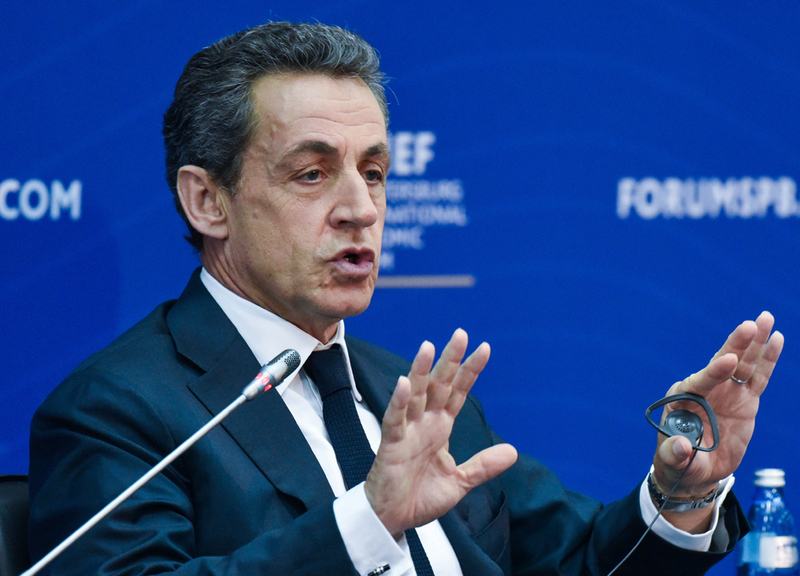 "The strongest should be the first to extend their hand, and it is Russia and President Putin who are the strongest," Sarkozy said at a session of the St. Petersburg International Economic Forum on June 16. Putin had an informal meeting with Sarkozy on June 15. "I proposed to President Putin that he lift the sanctions on his part, and Minsk-2 will be applied in exchange to this. Instead of letting the sanctions block the state of affairs from all sides, let's make favorable conditions from this crisis so as to lift these sanctions. I wish Mr. Putin to announce the lifting of the sanctions on his part, and we, the Europeans, will follow this movement," he said. Sarkozy said he planned to discuss the extension of the anti-Russian sanctions with European Commission President Jean-Claude Juncker in the near future. "I will tell him how cautious one should be in extending the sanctions, in making a decision on extending the sanctions," he said.